What is Modular Storage and How Can it Benefit Your Business? Modular storage plays an important role in the success of most businesses. Due to its capabilities to quickly store your stuff, you don’t have to exhaust yourself anymore. You can store things such as goods, files, tools, and other office gear easily. As a matter of fact, you can then retrieve them whenever you need it. Whether you’re new in the business industry or a seasoned corporation looking to maximise capacity, a modular storing system that suits your needs is the ideal solution. Now, check this out, some of the benefits you could get when you have one for your enterprise. 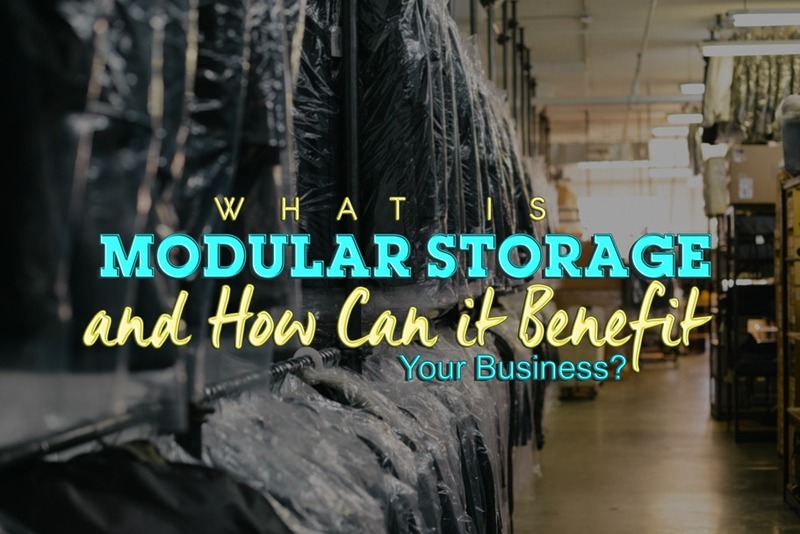 You might be asking what is modular storage? And how it helps increase business productivity? Well, here’s the thing. When there’s a space for everything and everything is in its place, the more organised you’ll be. It’s a lot easier to find what you need the moment you look for it. Proper organisation of stuff can greatly help to reduce the stress of your employees. Thus, resulting to complete their jobs effectively. Furthermore, all business commonly requires to keep a lot of paperwork. That’s why using a commercial storage unit in saving all your important files is a big help for your trade. Placing them properly in one place could make it easier to access whenever it’s needed. What is modular storage for? Well, when running a business, space is a significant cost factor. Having more than you need is unnecessary while not having enough leads to a more stressful work environment. And to provide a solution to that problem, choosing the proper storage facility could give you the perfect answer! After all, a larger capacity area can allow both small and large items to be stored together. Having a good place for all your inventory and business supplies is much more convenient than stacking them all in your office. In fact, a clean and safe working environment is important in every trade. They say that having a cluttered desk is also a sign of a cluttered mind. Which is mostly true, so, to improve productivity and promote safety, keep things in order. Separating the necessary stuff from the seldom used ones to another place can help to keep you on track. Whilst employees can enjoy more space at work. After all, what is modular storage for? It is to help keep your office neat and clean whilst having a safe working environment. It also leaves a positive impression on customers and even employees. Are you still asking what is modular storage unit? Here’s the thing! It’s where you can safely place products and gear. Also, it could be an extension to your office to provide extra space for a better business process. In case you are planning to have an office relocation, it is the perfect place to stack your stuff temporarily. But whatever the reason is, using one is a great factor to your business needs. Furthermore, securing your business assets can prevent loss and damage in case of an unexpected event occurs. Additionally, you could make your storing unit as a warehouse. In there, you store specific products to make sure that its condition will be fine. Less time spent in retrieving products and paperwork can also correspond to an increase in customer satisfaction. When they are receiving properly stored, intact products and timely service, customers become repeat customers. Is it now clear what is it and how it can benefit your trade? Well, knowing what is modular storage unit and how it benefits your enterprise is already an advantage. Likewise, before you look for the right business storage facilities, ensure what are your needs first. Plan ahead and see what type of unit fits your needs. Looking for a storage solution for your business? Macy’s Mobile Self Storage is happy to offer you space check. Call us today for inquiries and let us see how our storage solutions can meet your business needs. You could also check our website for more services offered you could choose from. And if you’re looking for an affordable storage unit, check this article “A Secured and Cheap Self Storage Units Solution for Life’s Events” for more helpful insights. This entry was posted in Storage and tagged Macy's Mobile Self Storage, Modular self storage, self storage, Storage, storage module.